Superior: Spacious, sunny double bedroom with modern standard bathroom. Our rooms with balcony (Nr. 28, 38, 48, 57, 62) promise a fantastic view towards the city center. On clear days you can see the famous red townhall "Rotes Rathaus" and the eastern television tower "Fernsehturm" on Alexander Platz. Just across the street on the other side of Kaiserdamm the "Funkturm" former landmark of West Berlin is visible. 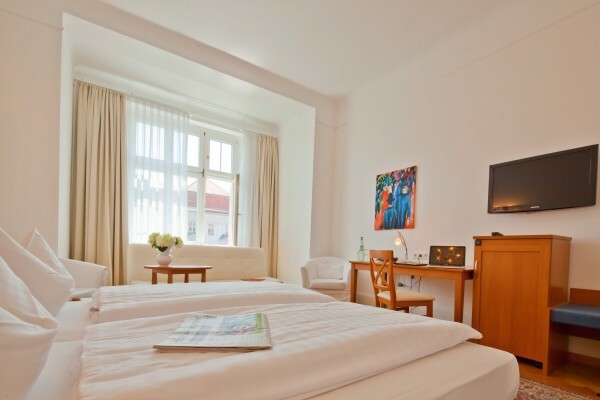 Superior room with double bed: 25 to 30 m² including modern bathroom, coffee/tea tray. 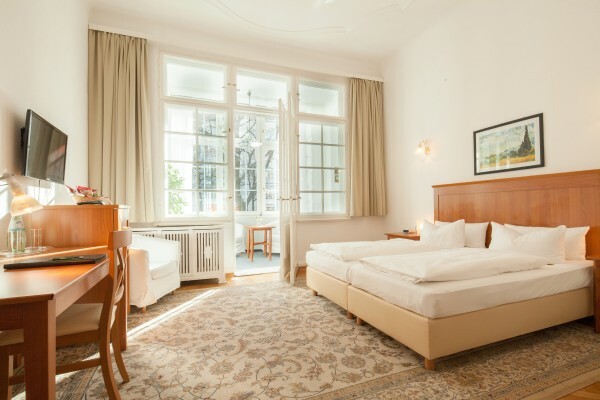 All Superior rooms offer a double bed, which on request can be easily separated into two single beds, a large desk and a comfortable seating area. Accommodation for a 3rd or 4th person is possible. 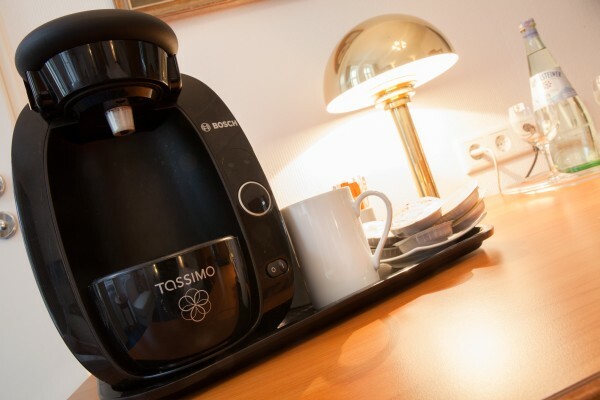 Superior Rooms are equipped with flat screen TV, minibar, phone, radio alarm clock, free tea tray and wifi. Each room has its own characteristics. Room 18 presents itself with a cosy conservatory. A balcony can be found in the rooms from the 2nd to the 5th floor. On the 5th floor room 58 is equipped with a traditional old fireplace display (no heating function) and an original old fashioned sliding door. 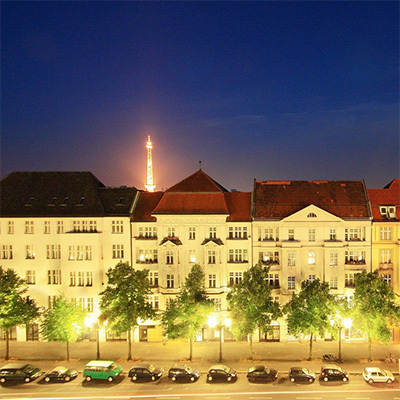 Room 62 located on the gallery of 6st floor is very spacious and offers the best view over the rooftops of Berlin. 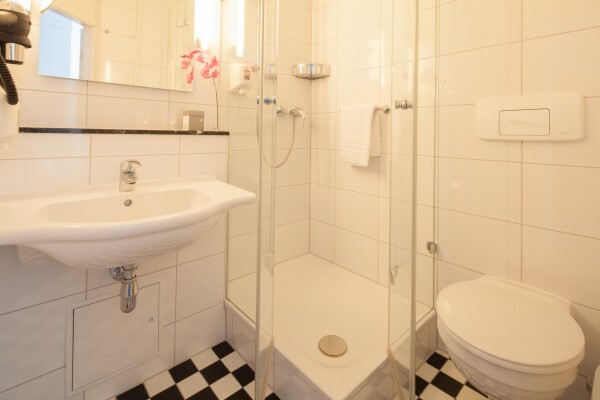 The spacious bathroom offers a bathtub and shower.